The Indian parliament witnessed an unusual scene that has become the talking point of the recent no-confidence motion initiated by the opposition against the Narendra Modi government. On Friday, after making his speech against the government, Rahul Gandhi surprised all – especially Modi himself – by going across the aisle and hugging him. Modi was visibly caught off guard, but recovered quickly and shook hands with Rahul. The gesture drew censure from the speaker of the house, and yet it represented a bipartisanship that has been eroding for some time now from the Indian political landscape. Bipartisanship has been eroding because this is not the Bharatiya Janata Party (BJP) of Atal Bihari Vajpayee. The BJP under the Nehru-admiring Vajpayee had attempted to put Hindutva on the backburner (after using it adroitly to come to power) and had sought to use a more conciliatory approach in dealing with issues. Vajpayee’s loss in the 2004 General Elections was seen as the failure of this approach by the right-wing in India. Putting Hindutva on the backburner was a mistake, they surmised. Upon clinching power again after 10 years of United Progressive Alliance (UPA) rule, they have been intent on making sure they do not repeat that apparent mistake. 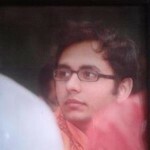 Far from being pushed to the backburner, Hindutva is now the overt leitmotif of the Modi government; one that enables lynch mobs to indulge in acts of terror in the name of Hindutva without compunction, and one that sees Union ministers with moderate histories coming to their support to earn brownie-points with their bosses. It has engendered McCarthyism in Indian politics, where criticism of the government has been attacked as anti-nationalist in order to inure both the government and its ideology from questions. In this backdrop, with the rising tide of Hindutva widening the aisle separating people’s differences, Rahul’s “walk across the aisle” hug caught everyone off guard. And yet something about the hug from Rahul seemed fitting of the kind of politics he talks about practicing. The hug was the culmination of a significantly improved performance by Rahul in the Lok Sabha. His record in the Lok Sabha is otherwise rather pedestrian, but he seemed to come alive on Friday. There was an aggression in his delivery that was almost refreshing, coming from the leader of an enfeebled and brow-beaten opposition; one that does not even have the status of ‘leader of the opposition’. He listed the ‘jumlas’ (false promises) that the Modi government had delivered for years to a sometimes-naive public yearning for improvements, and made the point that the government had failed in delivering on most of its major promises. He levelled serious charges of graft against the government and left the BJP – including the Defence Minister herself – seething. And yet he chose as his crescendo a hug, suggesting that the aggression is a tool but it does not change his approach to politics; one that speaks of a politics that doesn’t emerge from hate, but is grounded in compassion. Rahul did face criticism though for allowing the hug to dominate the narrative instead of the issues he raised, but it is clear he wanted his political USP to be highlighted, even if its symbol was laced with cynicism – as the subsequent wink to Jyotiraditya Scindia indicated. Somebody of Indian sanskaars, will never display such demeanour as respect for elders is the basic expectation in our culture. After all, Rahul was hugging the man who has made headlines around the world for hugging world leaders. In effect, Rahul did a Modi on Modi, so the cynicism is not entirely misplaced. The serial hugger has been taken for a hug. BJP says Rahul’s hug is childish. What about Modi’s hugs? Beyond the cynicism, however, the hug symbolises something very important: Rahul taking a different approach than his mother’s in dealing with Modi. Sonia Gandhi once famously referred to Modi as ‘maut ka saudagar’, a pariah who had no place in Indian politics. However, Rahul is clearly not taking that line, for that rhetoric has not worked. Sonia had used it during the 2007 Gujarat Assembly Elections, and the Congress lost that election. Similar rhetoric did not work in the 2014 Elections either. Rahul’s approach seems to be to try and come across as more large-hearted, to undermine some of the polarisation the BJP engenders by toning down the rhetoric and reaching across the aisle to his opponents and the swing vote. RG has changed Cong approach to Modi from his mother’s untouchable “Maut ka Saudagar” to “you hate me but I hug you.” Bigger change is gifting Karnataka to Gowdas. The new principle: anybody but Modi. India being the most diverse country on earth consequently has a complicated political setup. No one issue can be identified as the single most decisive issue that an election hinges on. An array of issues and identities come together across various states to create an aggregated political mandate. Yet it is safe to say that especially for a country like India, polarisation is inimical to the overall political discourse, as it affects its ability to engage with issues and create issue-based political pressure groups that can influence much needed change. India’s major news channels – referred to aptly as ‘Godi media’ by Ravish Kumar – debate over polarising issues for ratings or target the opposition while failing to speak truth to power or holding the government accountable over issues that matter. India suffers as a result. Rahul’s approach, so far as it works towards addressing some of that polarisation, is commendable. If his approach can sanitise even some of the polarisation and help build bridges between communities, enabling us to empathise with one another, it will be entirely worth it, regardless of the taunts and scorn he may face in attempting to do so. Because what India needs is an inclusive approach to politics that can open the space for meaningful debate on critical issues. Indian nationalism too wilts under the pressure of any militant ideology, as the nature of the Indian Union demands a certain moderation to flourish. The caveat, of course, is that one must not read too much into a hug. But times are tough for moderates generally, and the Congress party in particular. The party is at the lowest point in its history, and its potential allies are driving hard bargains. Media channels are baying for the opposition’s blood and are attacking the party and Rahul for misdemeanours, both real and imagined, while keeping the party in power off the hook. 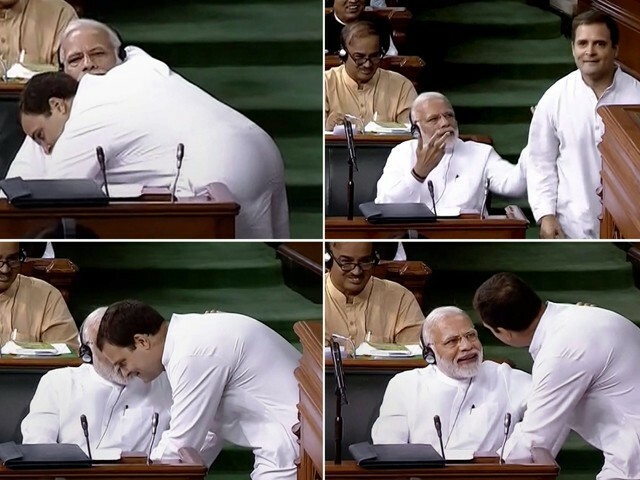 Amidst these tough times, Rahul’s hug gives the impression that he will steadfastly plough his lonely, moderate furrow with a sense of satisfaction. when he hugged a terrorists, like Modi Sarkar. in contact with Modi Sarkar.